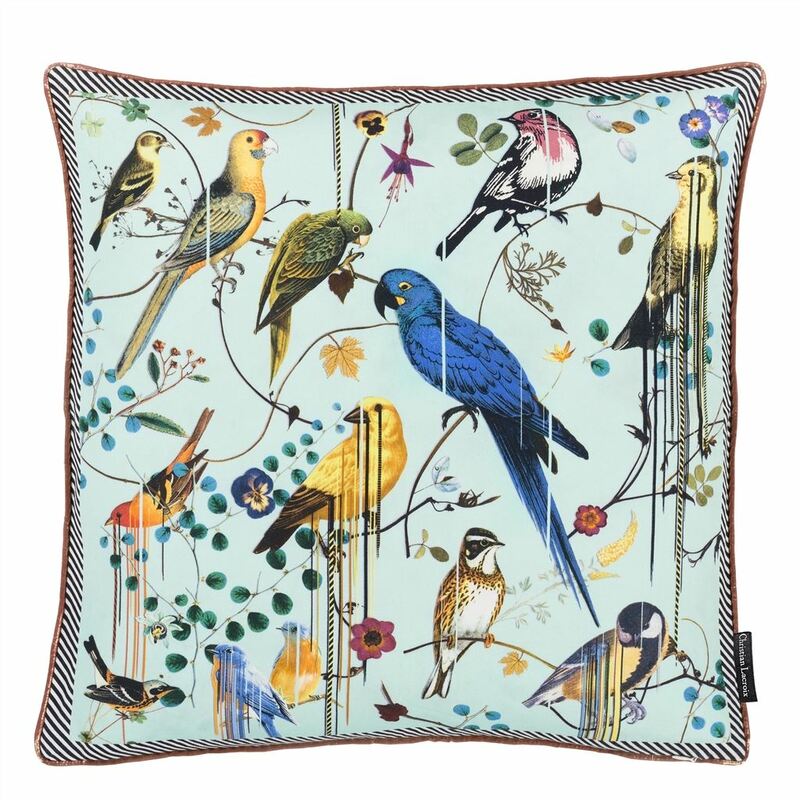 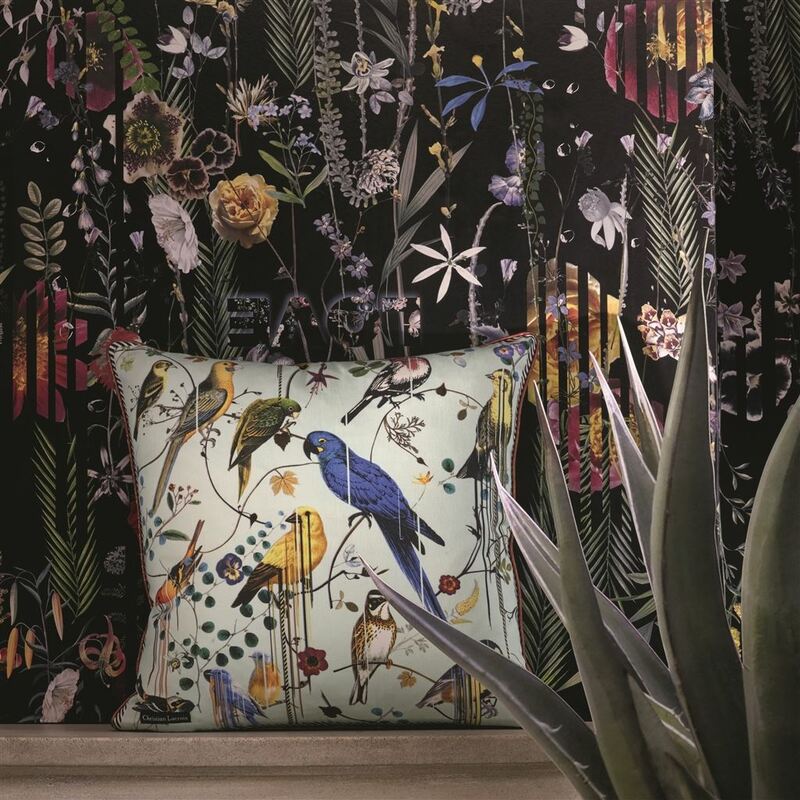 A wonderfully exotic array of birds adorn this vibrant cushion from Maison Christian Lacroix. 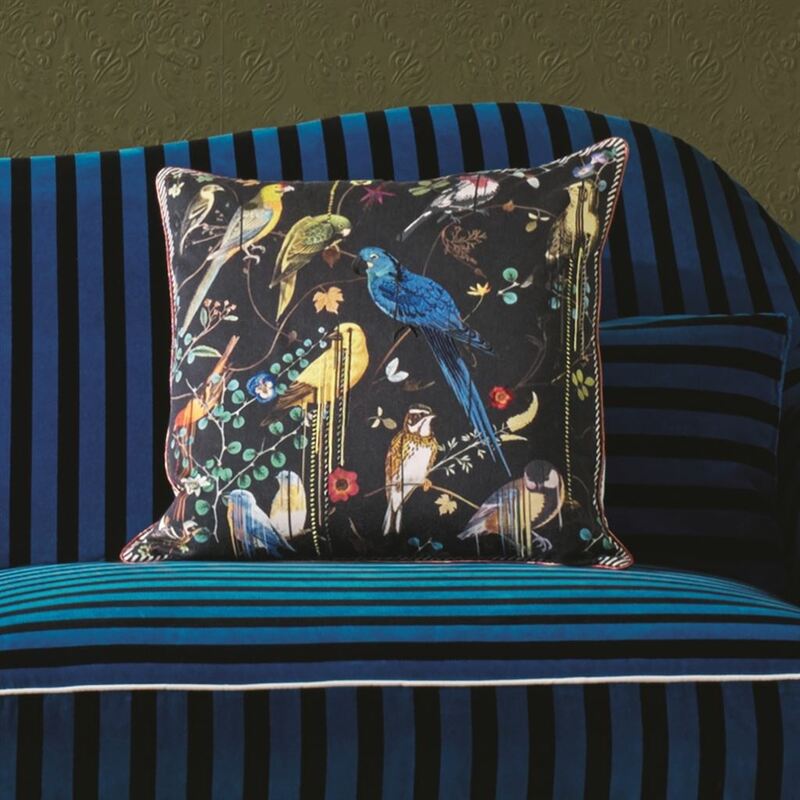 Colours merge into one another in graphic lines. 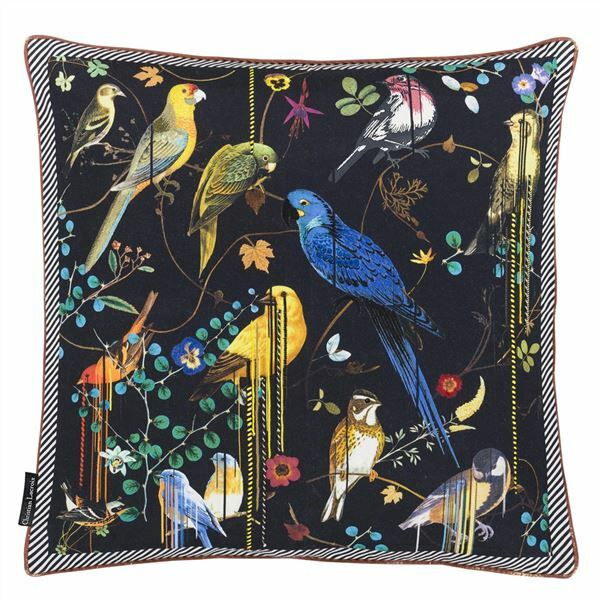 This stylish cushion is digitally printed onto cotton with delicate embroidered highlights.